…And with good reason! Protein is key for our hair, skin, nails, immune system, healthy mucosal cells that line the digestive tract… and pretty much every other cell in our body. Protein is so key because it’s the backbone, the building block, to cell growth and repair- for every single cell in our body. 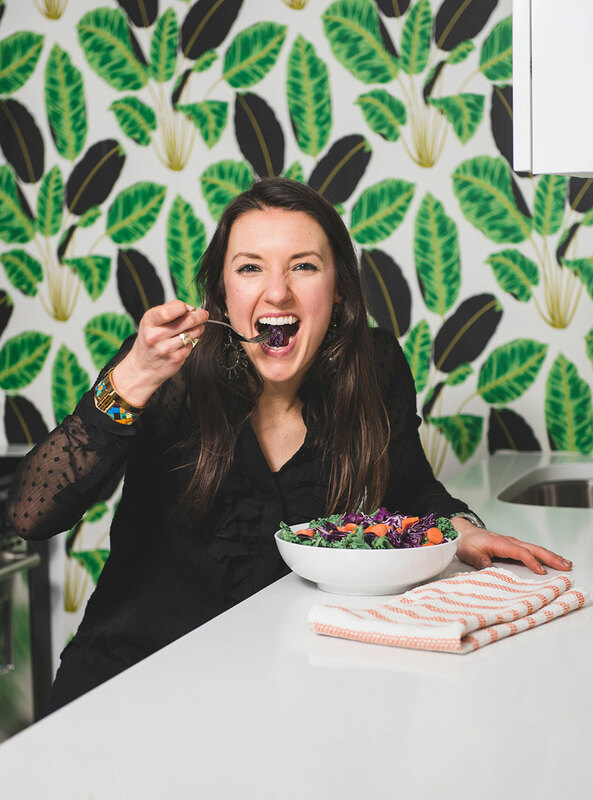 The good news is that when we eat in a well-balanced way, reaching our protein needs really isn’t so difficult… and especially when we’re conscious of getting enough- we usually find ways to sneak in some extra protein grams. Like for example in the form of protein powder. I hear from clients and people I meet all the time that they have a “new” and “exciting” protein powder that they love, and “oh my gosh it’s the best” etc etc etc…. but wait, not so fast; because do you know what’s REALLY in your protein powder? Here’s the issue. That protein powder you’ve been using maybe hiding some not so good-for-you ingredients that may be negatively affecting your health. Some protein powders contain heavy metals and other gross things (like DIRT), in addition to refined or artificial sugars, fibers and other things that may be making you bloated and gassy, and may not be helping with your weight loss either. So, to avoid the dirt, and the grime in your protein powders, it’s key to choose ones that are well-sourced and that works for your body. I’m not saying that this list will do the trick, but here’s a list of protein powders that I like.So as a way to get you started on your journey toward healthy protein powders, here’s our hit list. 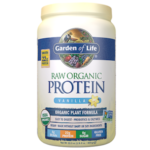 Why we love it: Garden of Life Raw Organic Protein is a certified organic, non-GMO, and vegan. 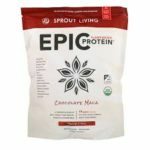 It’s made with 13 raw sprouted proteins, and has 22 grams of protein. This powder is great for people who are dairy free, and still want a complete profile of all the essential amino acids. 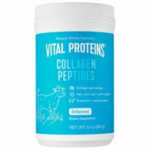 Why we love it: Vital Proteins Collagen Peptides are sourced from grass-fed, pasture-raised cow. Collagen is a protein made up of amino-acids which help our body’s connective tissue, skin, hair, nails, as well as gut health. 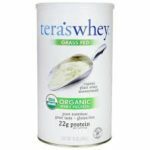 Why we love it: Tera’s Whey is certified organic whey protein is that is locally sourced from pasture-raised cows that eat only organic, non-GMO grass and forage. These cows are ethically-raised and never treated with growth hormones or antibiotics. Each serving has 21 grams of protein. 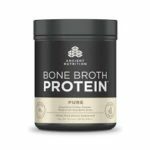 Why we love it:Organic Bone Broth Protein supplies 20 grams of whole complete protein with 0 grams of sugar. It is great for people with sensitivities to dairy, grains, gluten, peas, soy and nuts. Bone Broth is a nutrient dense stock that provides protein and Type II collagen. Why we love it:Pea protein powder is made by extracting the soluble pea protein from yellow-split peas. Yellow pea protein is an excellent source of dietary protein for vegans. 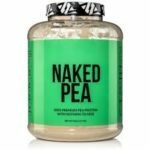 Naked Pea is made from non-GMO peas that are only grown in North America. Why we love it: Epic Protein uses a blend of organic plant protein, prebiotics and nutrient-dense superfoods that has no additives and provides 19 grams of complete protein per serving. They added Maca Root as a powerful adaptogenic that can help balance hormones and increase energy.